When it comes to automotive lemons, there are seven models that consumers would not purchase again according to a Consumer Reports survey. With the Subaru Legacy and Forester, it’s a different story. Subaru’s 2015-2016 Forster small SUV and the 2015-2016 Legacy sedan are tops on the list when it comes to owners being most satisfied with their purchase. Consumer Reports asked owners of new vehicles, “Considering all factors (price, performance, reliability, comfort, enjoyment, etc. ), would you get this car if you had it to do all over again?” The question is revealing and shows which cars are least satisfying for their owners. A high score also shows which cars are high on the satisfaction scale. The least satisfying car was the Kia Rio with a 40 percent respondents who answered “definitely yes” to that question. The Jeep Patriot and Jeep Compass were lowest is the Small SUV category with 46 percent of owners saying they would buy them again. In the competitive Small SUV category, Subaru’s Forester was highest in owner satisfaction and received an 80 percent positive response. Among midsize cars, the Nissan Altima was least satisfying and only received 58 percent of owners saying they’d buy it again. The survey revealed gas mileage is less than advertised, the car rides hard on rough roads and the seats are not comfortable over long periods. Subaru’s Legacy sedan scored the highest in the Midsize Sedan category. Itd rocked the list with 84 percent of owners saying they would buy it again. Comments were positive as owners said they like the handling, mileage, comfort and advanced safety features. Other least satisfying cars were the Hyundai Veloster in the Sporty car category at 50 percent. As well, the Minivan: Nissan Quest at 54 percent, Luxury Car: Mercedes-Benz CLA at 55 percent. Lastly, the Pickup Truck: Nissan Frontier at 60 percent. The 2016 Subaru Forester is the top selling brand car in the U.S. 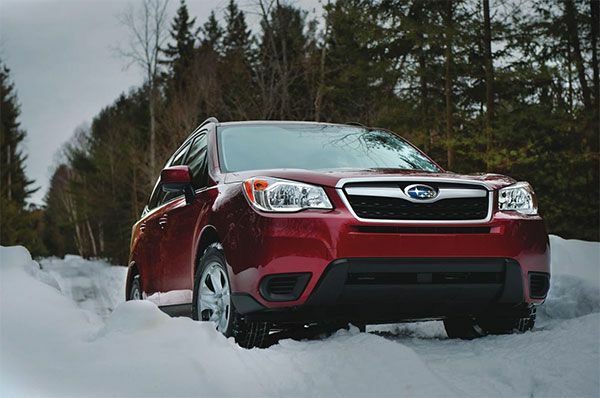 Both the Legacy and Forester received a complete remodel for the 2016 model year. The Japanese automaker will likely set an all-time sales record in the U.S. this year with their all-wheel-drive lineup. Owners seem to most happy with the 2016 Forster SUV and new Legacy sedan. Book your test drive today of the Forester or Legacy today!